The traditional "Davoserhüsli" is an authentic "Walserhaus" in the middle of Davos-Platz. 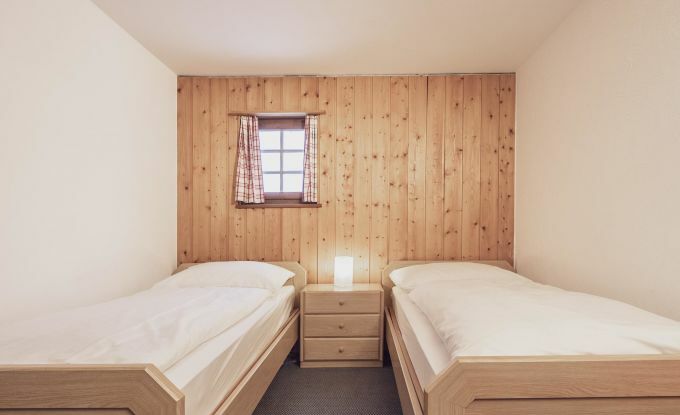 You will find single-, double- and 4-bed-rooms with running water. Bath towels have to be brought along by the guests. The reception and breakfast room are located in the neighboring house Hotel Alte Post. Towels must be brought along. Car - In the center of Davos Platz, after the shopping center "Raetia" (Migros, Dosenbach) turn left, cross the parking. The property is located top of the Hotel Alte Post.